If you don’t pay close attention to your oral hygiene, it can do more than affect your smile. Neglecting your teeth can increase your risk of serious health problems, such as heart disease and diabetes. 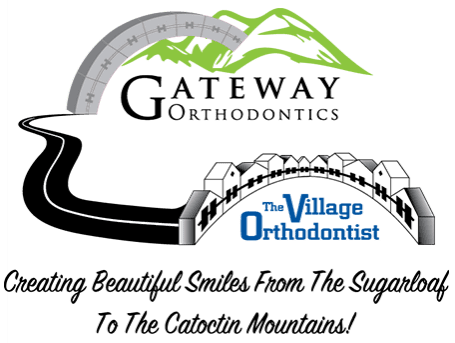 At the Village Orthodontist in Frederick, Maryland, Jon Moles, DDS, helps you develop and maintain excellent oral hygiene habits, ensuring a lifetime of strong, healthy teeth. It’s particularly important to seek his guidance during orthodontic treatment, since that’s when many individuals slip into bad habits. Call the office or book an appointment online today to learn more. Oral hygiene refers to how you take care of your mouth, teeth, and gums in an effort to keep the area clean, healthy, and disease-free. Practicing good oral hygiene can save you time and money, limiting your risk of developing oral health problems that require treatment. The best way to practice good oral hygiene is to brush and floss regularly, which means twice a day. This is the most effective way to keep your teeth and gums healthy and looking their best. During your orthodontic screenings, Dr. Moles can pinpoint problem areas and provide tips on how to improve your brushing or flossing technique. Another key element of good oral hygiene is your diet. Try your best to limit your sugar intake, as this often leads to oral health complications. Acids released from sugary products — like soda and candy — damage and dissolve your teeth. A high-sugar diet can contribute to significant tooth decay. If you’re in the midst of orthodontic treatment, Dr. Moles is here to help, offering tips on how to maintain good oral hygiene while you’re wearing braces, removable aligners, or a retainer. It’s critical you know that just because you’re in the middle of treatment to straighten your teeth, you can’t neglect your oral hygiene. Why is it important to develop good oral hygiene? Developing good oral hygiene habits, particularly at a young age, helps your teeth grow strong and healthy into your teen and adult years. It also lessens the likelihood that you need complicated, expensive orthodontic treatment later on. Neglecting your oral hygiene can essentially cut years off your life, while maintaining good habits — such as brushing and flossing daily — can extend your health and limit your risk of serious health conditions later in life. If you’d like to schedule an appointment at the office to learn more about how to address your oral hygiene habits, call or use the online booking tool today.